Hundreds of thousands of riders and hundreds of businesses throughout Northern Brooklyn will be dramatically affected by the L Train Shutdown, announced to start in April 2019. While the closure of this community lifeline is only 17 months away, there are more questions than answers. The community demands a report of the current plans for transportation remediation, a serious discussion around help for local businesses, and information about any street use changes proposed by the Department of Transportation. In addition, there must be a commitment by the responsible agencies and their contractors to meet with a community advisory board on a monthly basis starting in January 2018. "The Grand Street Business Improvement District (BID) is now at the center of the DOT and MTA’s draft L Train Shutdown mitigation plans,” said Homer Hill, Executive Director Grand Street Business Improvement District. “Reconfigurations of Grand Street’s traffic patterns and usage will have a tremendous effect on the over 150 small businesses located in our district. It time for the DOT and MTA to release their plans and begin briefing our community on how the L Train Shutdown will impact our small business community." "When the 15-month service disruption commences in April 2019, 66 months will have passed since Superstorm Sandy wreaked havoc on New York City,” said Alan Minor, Chair of the Board of Directors of Neighbors Allied for Good Growth (NAG). “In other words, the MTA, DOT, NYCEDC, and other government agencies will have had ample time to coordinate on a plan that both mitigates the impact of the partial closure of the Canarsie Line and bolsters transportation infrastructure so that New Yorkers have greater mobility before, during and after the service disruption. That means ADA accessibility shouldn't be limited to just two stations -- 1 Av and Bedford Av. (The Lorimer St L-Metropolitan Av G station complex is a prime candidate.) It also means reopening closed subway station entrances and street staircases along the most impacted lines to enhance mobility in and out of stations. It also means expanding Citi Bike east of Bushwick Avenue and improving cycling infrastructure in general. And lastly, but certainly not least, it means improving bus service. If no long-term transportation improvements are achieved beyond what MTA and DOT have outlined, a once-in-a-generation opportunity to enhance mobility -- particularly in North Brooklyn -- will have been squandered." The planned closure of the L train is a challenge, but it is also an opportunity. What the MTA and DOT do in the next few months will shape the community for years to come. This is also a chance to change the usual top-down paradigm. By committing to regular meetings with the community, residents will not only be better informed, but they will also be able to weigh in. At a time with public faith in their transportation agencies at an all time low, now is the time to rebuild trust. This certainly won’t be the last time major, disruptive change will affect New Yorkers. 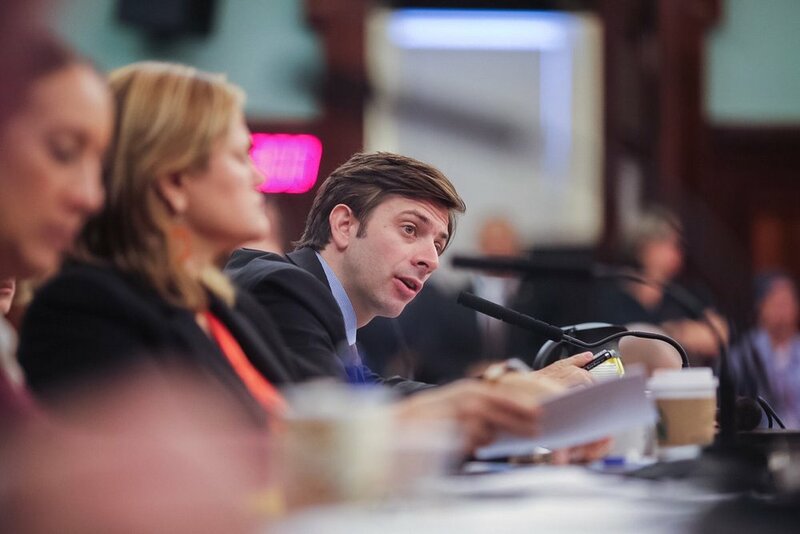 For the sake of everyone who relies on the L train, and future impacted communities, it’s time to set a high standard.